This Post is special in a way , It is about the culture of Lucknow (along with the food 🙂 ) which I have tasted on my recent trip and it has made my journey all the more delicious and mouth-watering. If not for anything else I would definitely go back to Lucknow to try out more food. Till then we’ll have to suffice with the few that I was able to catch up on recently. When you talk about Lucknow, the first thing that come into your mind is Nawab, kabab and Tehzeeb. Tezjeeb or as it would be interpreted in English as “culture” or etiquette is so much ingrained in the people, that it cannot be ignored. You notice it, wherever you go whether it is a tea vendor or a 5 star hotel manager,it is an integral part of their functioning. This was something new which I never ever tried in my life, it’s prepared with rice flour and lentil, outer part is made up of rice flour and it is stuffed with dal powder in it and the chutney was spicy and it tasted perfect in a way that both were a contradiction in taste. 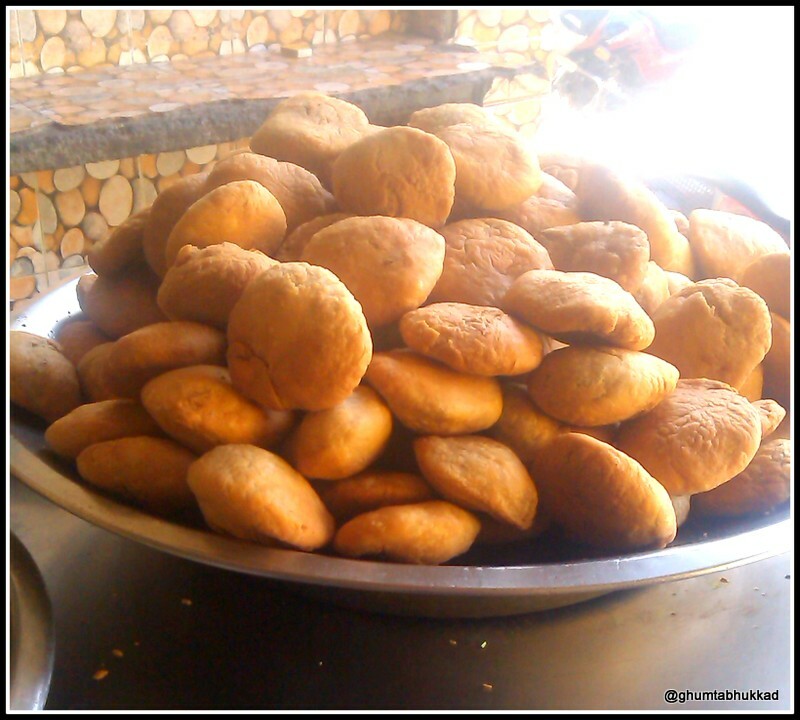 Khasta, looks like kachori but stuffing inside is different. 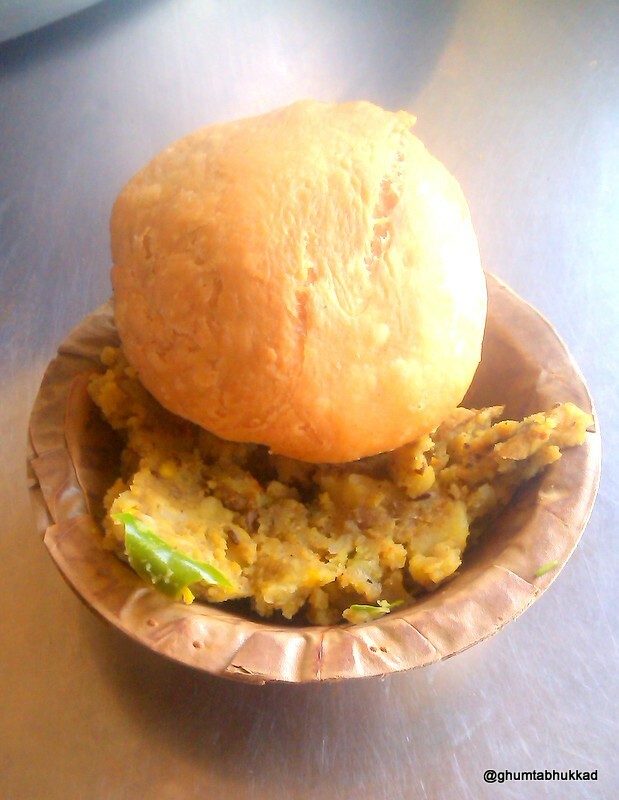 Generally kachori has a stuffing of aloo but here it was a stuffing of Udad daal or black daal crushed and it was served with Matar(White peas) and Aloo ki sabji. While tasting you can feel the crispness of the Khasta , break it and fill the sabji served with it . It tasted heavenly , combination of spicy sabji and khasta was simply delicious. I know when you hear of this combination you will raise a skeptical eyebrow but trust me what a combination this is. Moving on from my first reaction to when I ate the first bite , I was delightfully surprised ! I tried this combination at 2-3 shops and it was the same delicious everywhere. 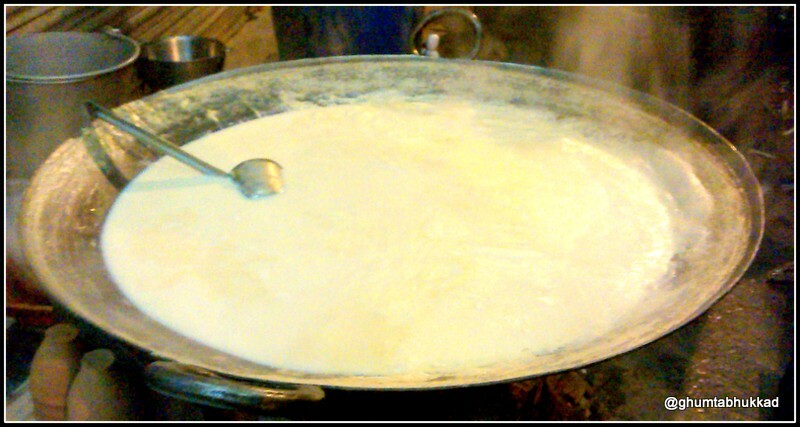 Curd was perfect not sour not too sweet with the piping hot jalebi which was deep-fried in desi Ghee 🙂 it melted my heart completely. I tried this from Ashvini dudh and lassi on latouse Road, this shop is a landmark there standing strong from decades and it is a must visit place if you are going to Lucknow. 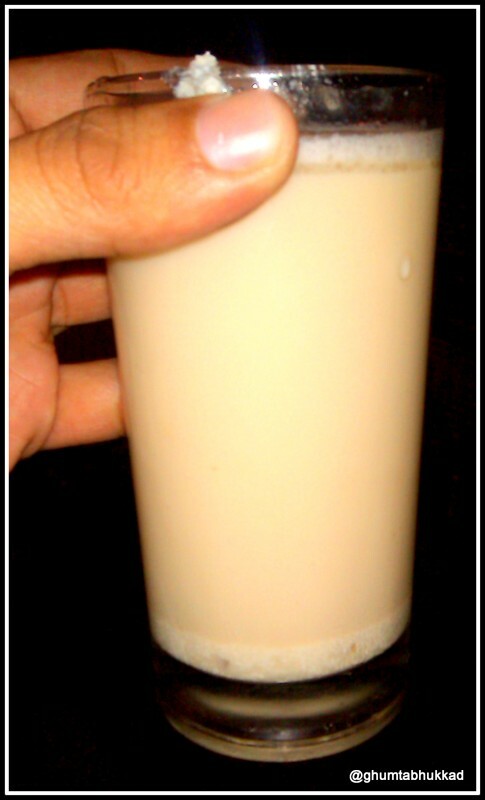 A Glass of hot milk(milk boiled till it changes its color) in which there was rabdi at the bottom and Malai as a topping, will certainly tempt you for more. Share your experiences and the dishes you have tried . So that next time ,when we visit Lucknow we will try it.